Purpose: Use this document to copy an asset. Enter a valid value in the Description field. 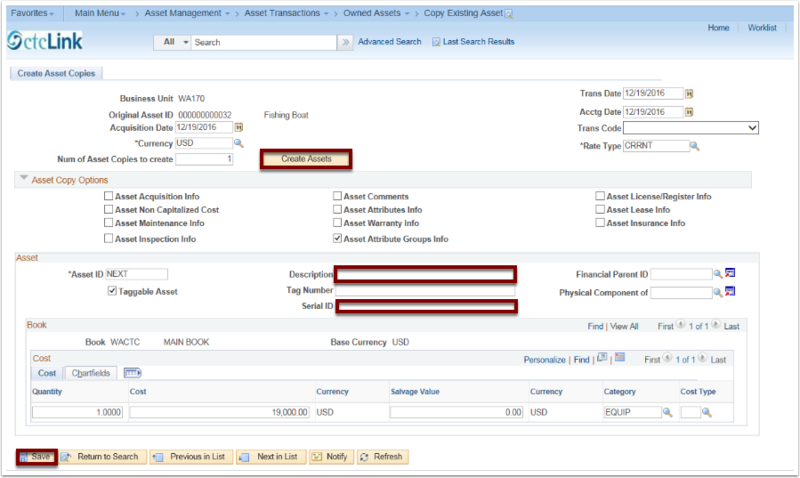 Enter a valid value in the Num of Asset Copies to Create field. Click the Create Assets button. Click the Description field and enter a valid value. 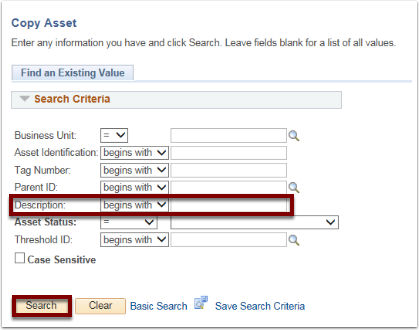 Click in the Serial ID field and enter a valid value. Click in the Description field and enter a valid value.